The car came to a halt when it collided with a rock about 100m down, but there was still a long way to go. 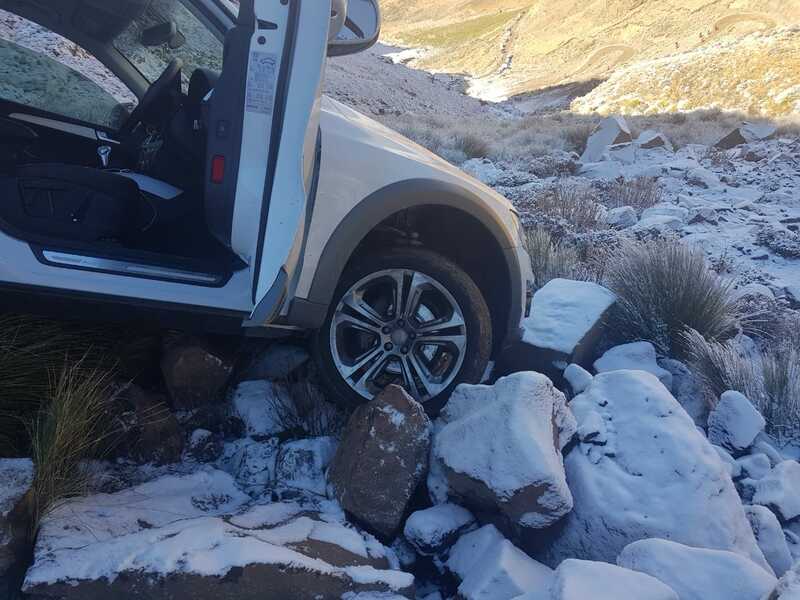 While making their way back down a snow-covered Sani Pass on Sunday, a Ballito couple faced a horrifying experience when they lost control of their vehicle on the icy road, reports the North Coast Courier. 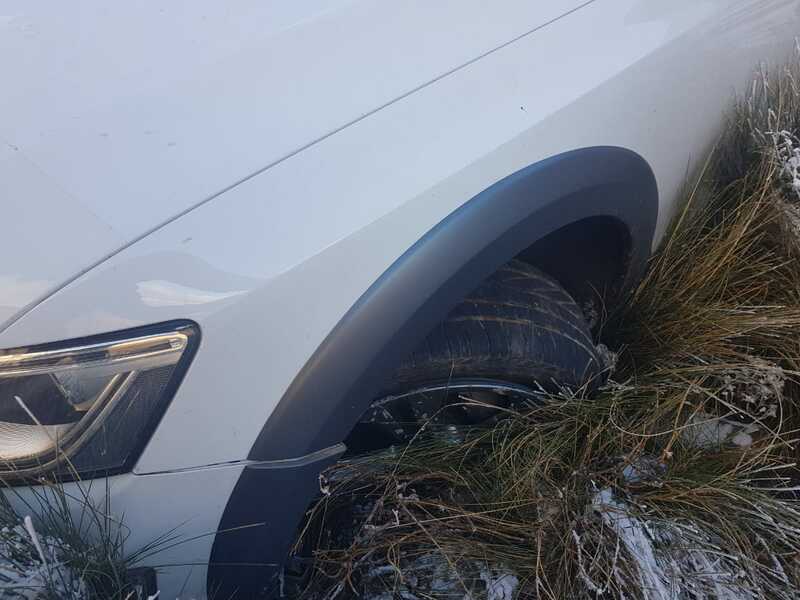 Nathan and Bridget Renald escaped with minor injuries after their SUV slid over the edge, coming to a stop as it collided with a rock 100m down. The pass is notorious for humbling even the finest 4x4s. The Audi came to a halt when it hit a large rock. 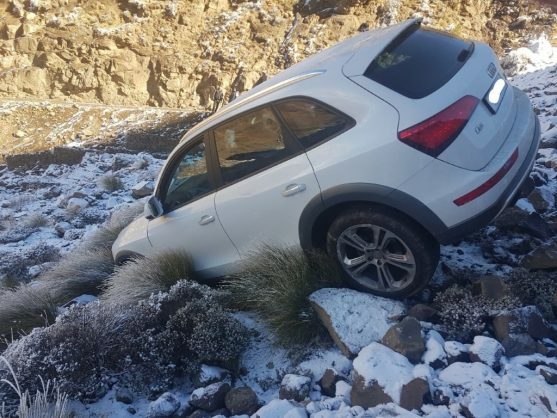 It did not appear to be equipped with the right tyres for the pass. According to Dylan Meyrick from IPSS Medical Rescue, the couple were about 3km from the summit when the incident occurred. “IPSS Rescue members were on the pass and witnessed the incident,” said Meyrick. 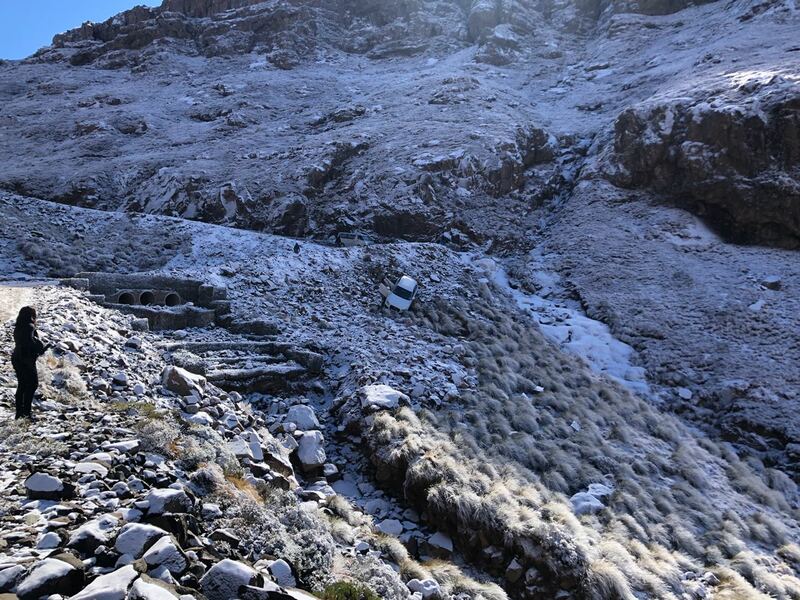 According to Mountain Passes South Africa, Sani Pass is the “mother of all South African mountain passes”. 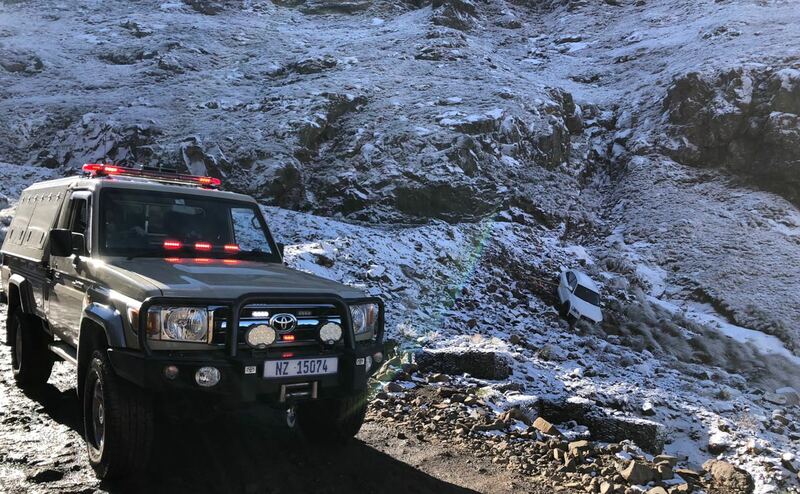 The site explains that the 1950s-built pass’s position between KwaZulu-Natal and Lesotho makes it a challenging drive in 4×4 vehicles with “all the drama, scenery, bad weather and treacherous conditions expected of a pass with a summit altitude of 2876m above sea level”. “That equates to 9,400 feet and at 10,000 feet aircraft need pressurised cabins!